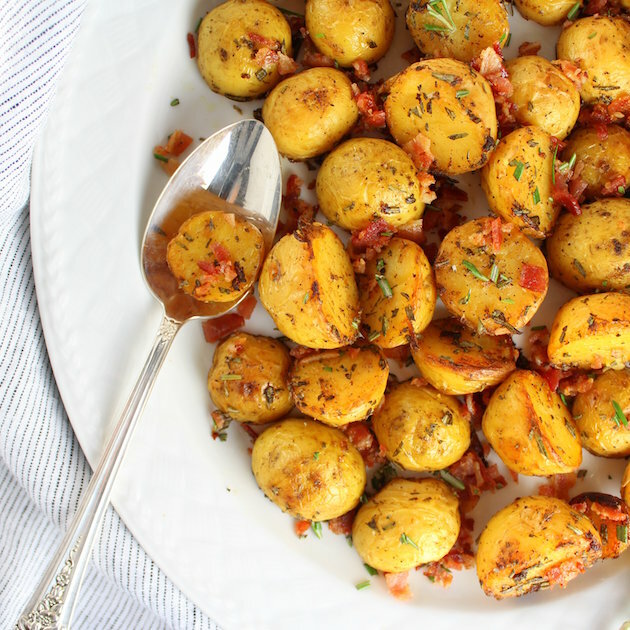 Roasted Baby Potatoes With Smoky Salt And Vinegar, thanks to our sponsors at Sea Cuisine ! 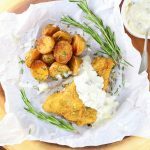 Paired with their Potato Crusted Cod Fillets, this is the most delicious homemade take on English Fish and Chips! 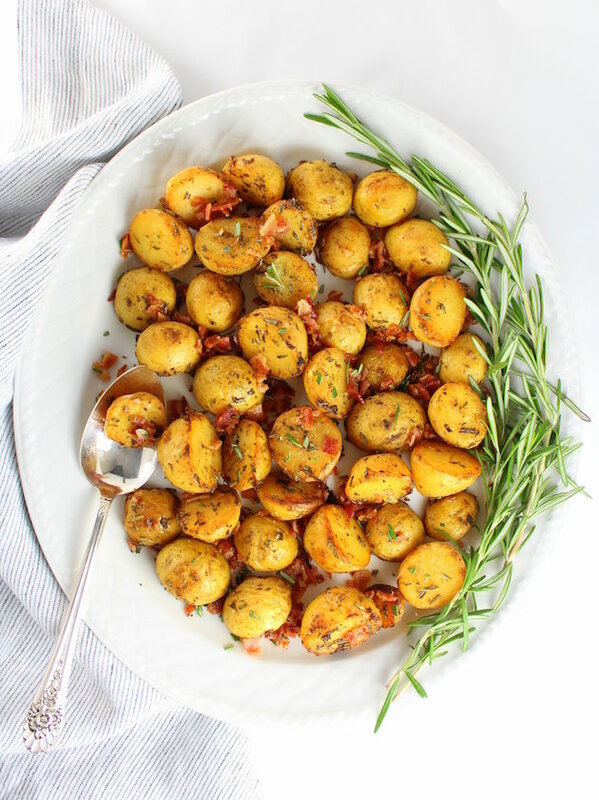 With roasted gold potatoes, apple cider vinegar, smoked salt, liquid smoke, fresh rosemary and bacon these potatoes have the most smoky, tangy and addicting flavor in every bite! The truth is if I’m ever in a pub or seafood-touting establishment I’m always looking for Fish & Chips on the menu. Then I’m interrogating the server with 20 questions… “Is the batter thick or on the lighter side? What kind of fish do you use? Is that fish wild-caught or farm-raised?” … Super annoying I know. Yep – I’m that girl. You may not know this but I have the resident Fish & Chips expert living in my house. Yes – that would be the B man… he lived in England during his high school years. Which makes him the closest thing in my life to an expert on this yummy meal. Yes – Fish & Chips got its start in England… but the exact origin is quite controversial. 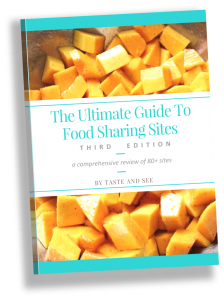 There are several stories of different individuals who claim to be the pioneers of the iconic dish. 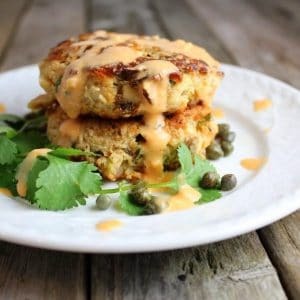 A 2010 story in The Independent (British) newspaper claimed the dish to be “more iconic to England than the Queen or The Beatles.” Hey Jude – Say whaaa!?? 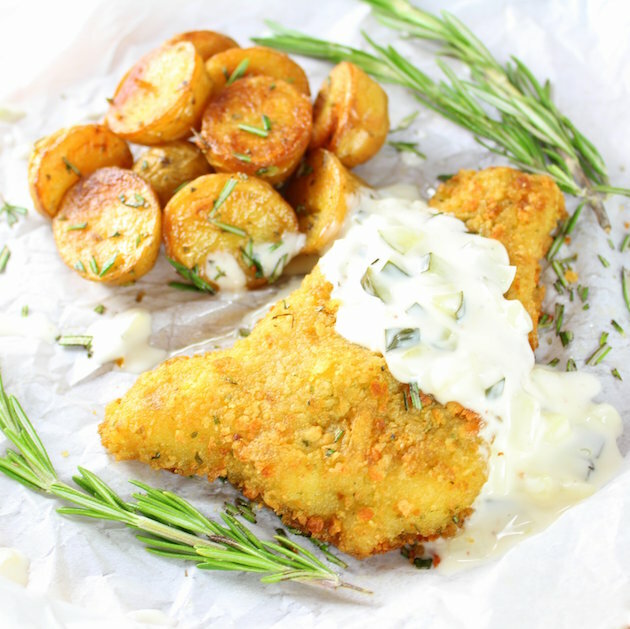 More than 229 million portions of white fish fillets are sold each year in England, alongside with chips of course. 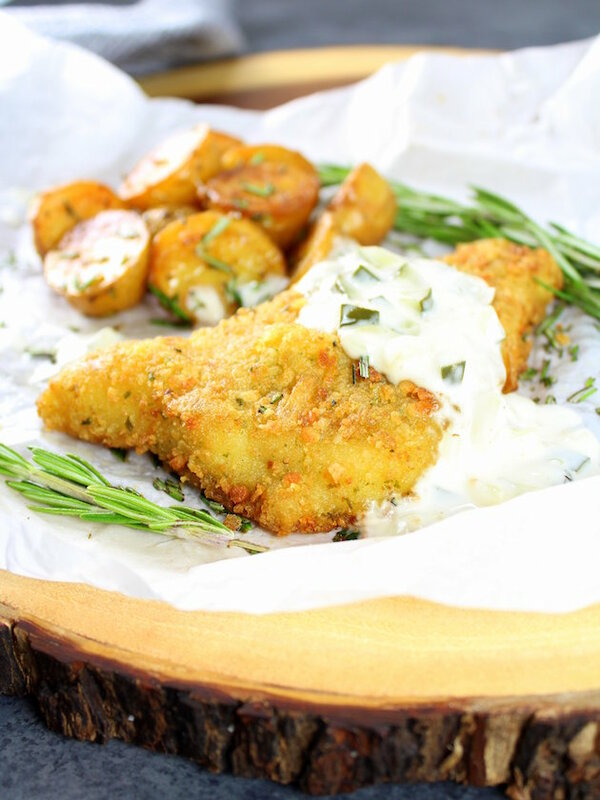 Fish and chips are usually served wrapped in newspaper and devoured with a combination of a two-pronged wooden fork and greasy fingers. Wherever the dish was actually invented, it was in London that the city’s working class propelled the dish into popular culinary culture. And it is in London that one of the oldest surviving chippies still stands today. Fish and chips are so ingrained in English culture that they were one of the few foods never rationed during World War II!! I hope that’s not too many details – I just had to enlighten you on this yummy traditional dish. “I was 13 and we’d just been stationed in England for my dad’s job (Air Force Colonel). One day shortly after we’d moved it was dinner time… we were hungry… and we were in England… so why not fish and chips? Our local “chippy” was a 5-minute walk from the house. I can still vividly remember opening the door and being hit by a wave of steamy, savory hot air laced with the distinct aroma of malted vinegar. We got four orders, loaded with the works. This was a “to-go” joint, and they wrapped our order in something like parchment paper and then wrapped it again in a few sheets of newspaper. Yep, newspaper. 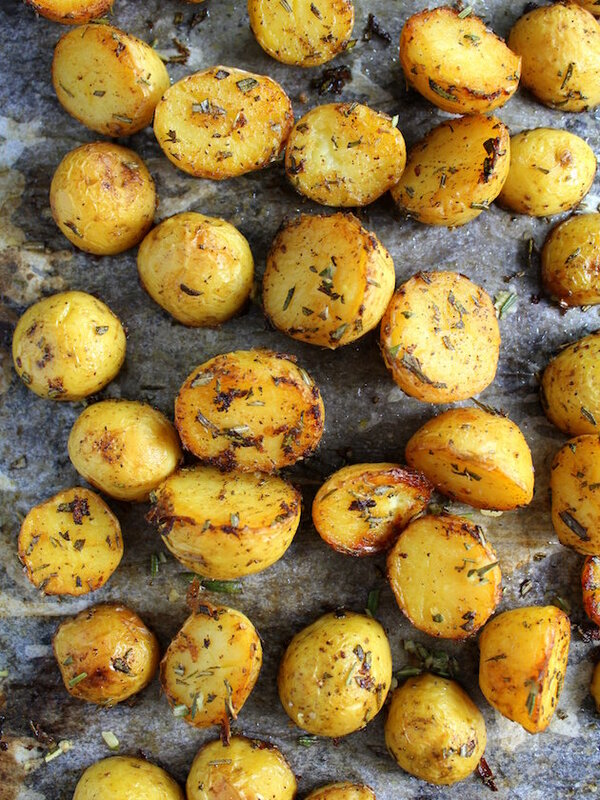 Roasted Baby Potatoes – Salt & Vinegar Style! No need to pinch yourself – I promise, you’re not dreaming. This is happening… right now. First things first! 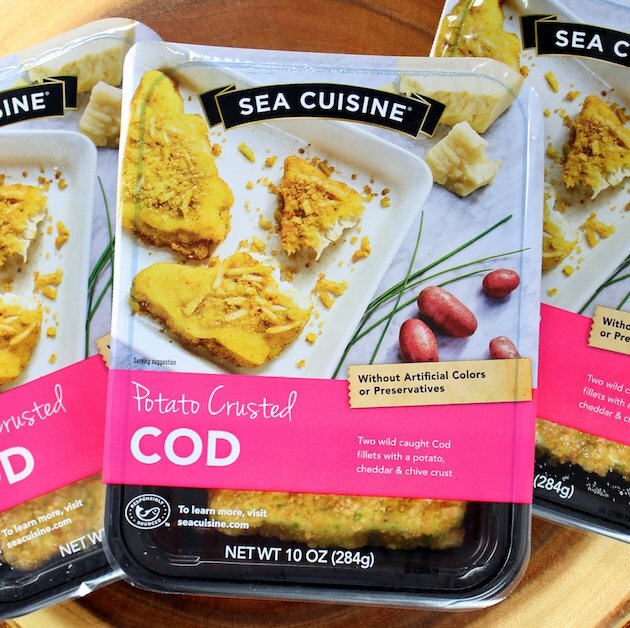 You need to pick up some Sea Cuisine Potato Crusted Cod Fillets from the frozen meal section of your local grocery store. 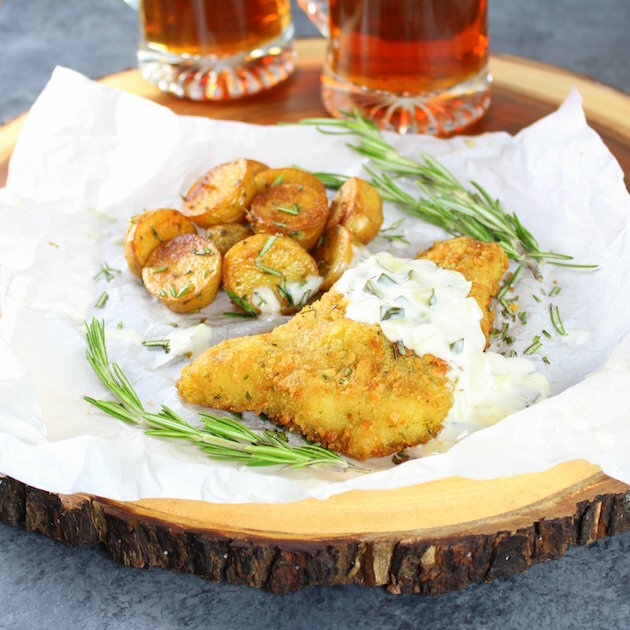 These wild caught pacific cod fillets are lightly coated with a savory potato, cheddar, and chive crust. They are perfectly prepared and ready for you to add your finishing touch. Light tartar sauce and some salt and vinegar chippies! Next, we need to go to work on those “chips.” You’ll need 2 pounds of baby Yukon gold potatoes. 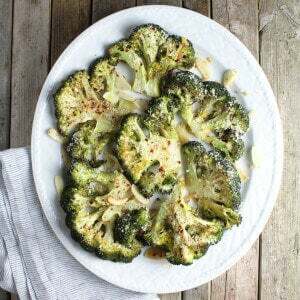 Slice them in half and steam them for 20 minutes in a mixture of water, apple cider vinegar, and liquid smoke. Meanwhile, bake 5-6 pieces of bacon in the oven per package instructions. Then mix up another combination of apple cider vinegar, smoked salt, pepper and liquid smoke, add it to the steamed potatoes, and give them a few good tosses. 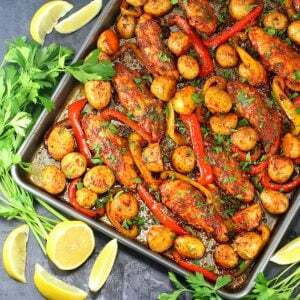 Using a slotted spoon, place the potatoes on a parchment-lined baking sheet. Add 2 tablespoons of olive oil, 1 tablespoon of freshly chopped rosemary, pepper, smoked salt, and toss. Turn the potatoes cut side down and roast for about 20-25 minutes or until tender and golden. 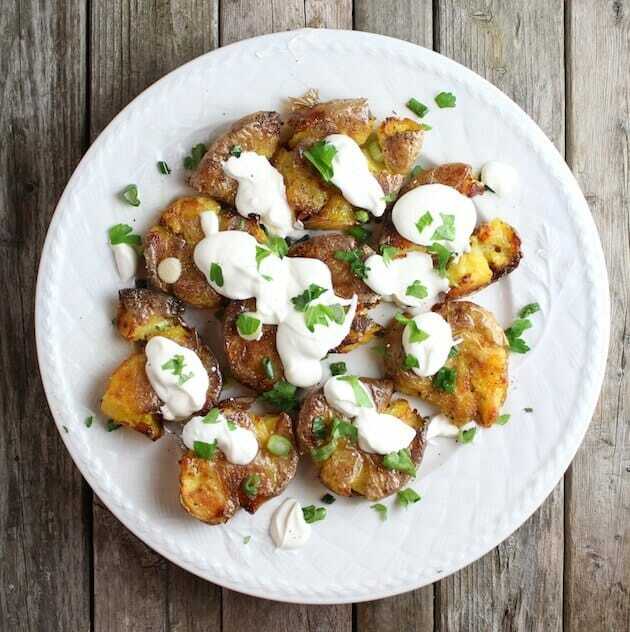 While the herb roasted potatoes are good and hot, toss them with 2 tablespoons of apple cider vinegar. 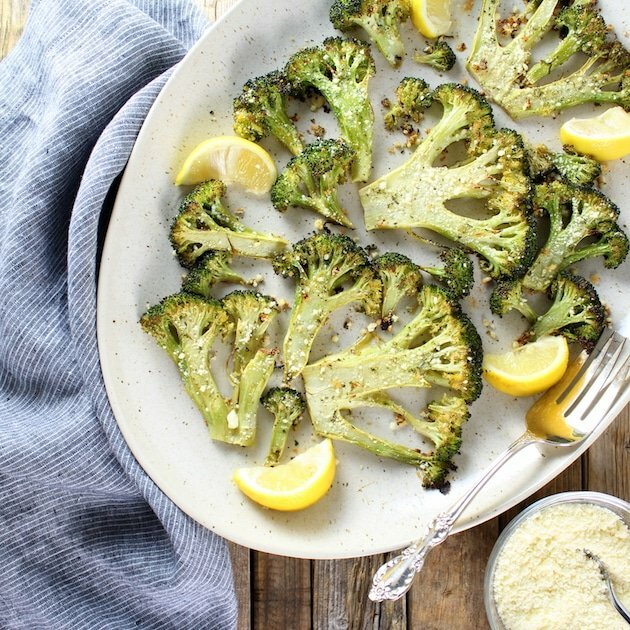 Place them on a serving platter and garnish with more chopped rosemary and bacon crumbles. 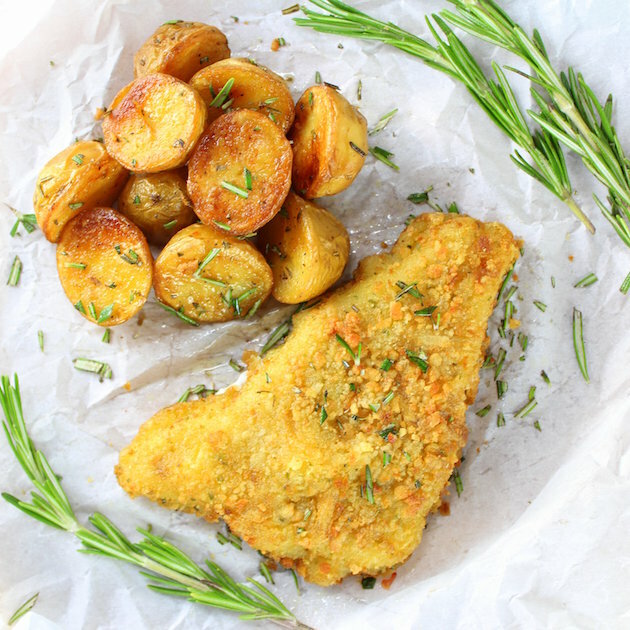 After the potatoes are done doing their time in the oven, turn the temperature down to 375 and bake your potato-crusted cod on a foil-lined baking sheet for 26-34 minutes or until internal temperature reads 165F. Now roll up your sleeves and enjoy the most delicious homemade take on the best classic comfort food! ~Peace, love and chippie grease! PS – I’m also loving these potatoes paired with a simple boiled lobster with drawn butter or these amazing grilled chili lime shrimp. Just sayin!! 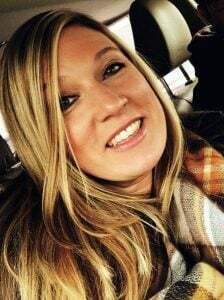 I would love to connect with you! Leave a comment and follow me on Instagram, Twitter, Facebook, & Pinterest! 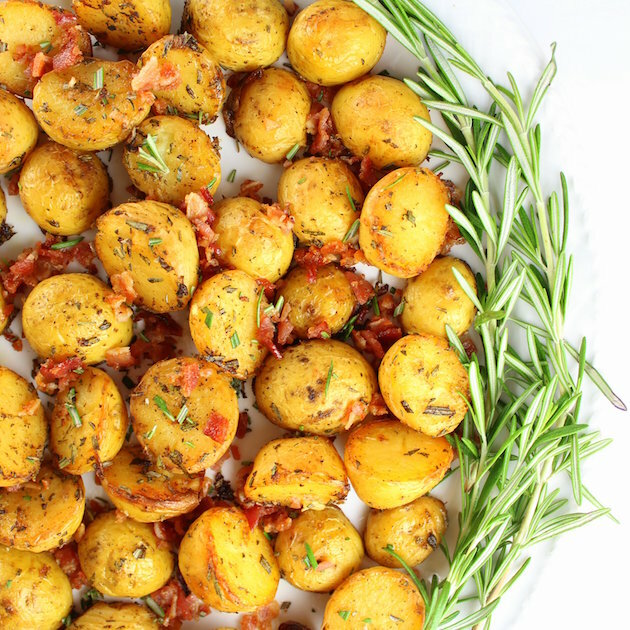 Baby Yukon gold potatoes, cider vinegar, smoked salt, fresh rosemary & bacon. 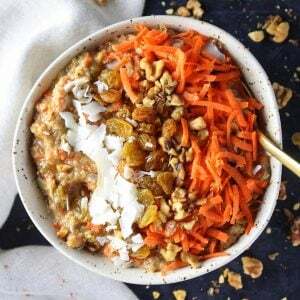 Tangy, smoky & addicting! Preheat oven to 400 degrees. Bake the bacon on a tin foil lined baking sheet (for easy clean up) until moderately crispy. Or follow package instructions for baking bacon. Meanwhile, add potatoes, 3/4 cup cider vinegar, 1/2 cup water, 1 tablespoon liquid smoke to a sauce pot over medium heat. 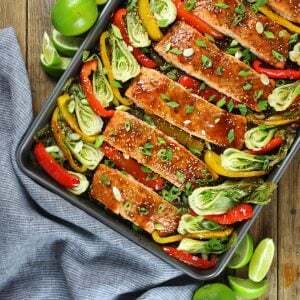 Cover and steam for 20 minutes. 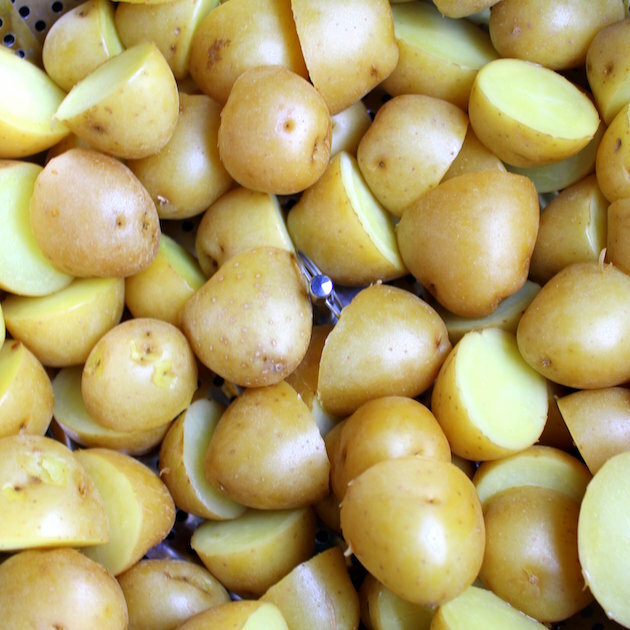 When potatoes are finished steaming, drain them and discard the liquid. 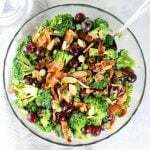 Mix together ¼ cup cider vinegar ½ teaspoon liquid smoke, ½ teaspoon smoked salt and pepper. Pour over cut potatoes and fold together several times to coat them thoroughly. Use a slotted spoon to place potatoes on a parchment-lined baking sheet (you can discard the vinegar mixture.) 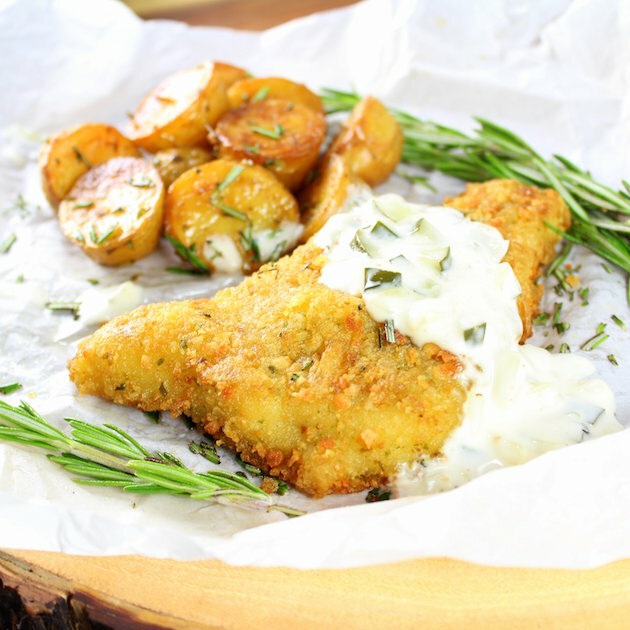 Sprinkle potatoes with 2 tablespoons of olive oil, 1 tablespoon of the rosemary, ½ teaspoon smoked salt and toss. 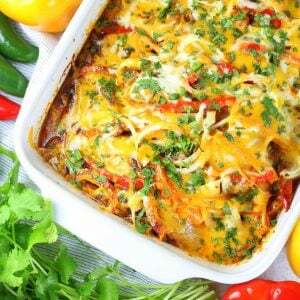 Place the potatoes cut side down on the baking sheet and bake for 20-25 minutes or until cooked through and golden. 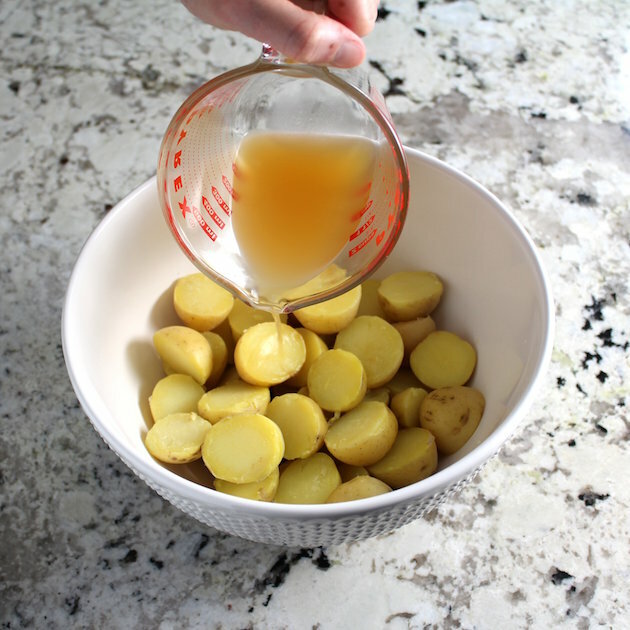 When fully cooked, remove the potatoes from the oven and toss with 2 tablespoons apple cider vinegar. Transfer to a platter and toss with bacon and fresh rosemary. Sprinkle with sea salt if desired. 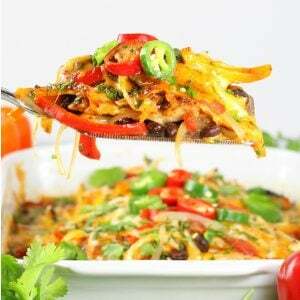 Looking for more tasty side dish recipes? They look delicious. I like them with a little crunch on the outer edges.